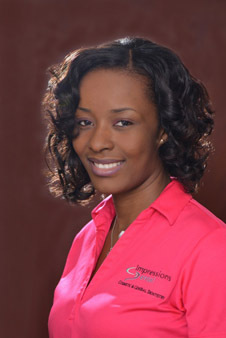 Shirlene joined the Impressions Dental team in December 2003. She began her professional journey as a dental assistant and gained a strong, practical foundation under the direction of Dr. Warren. Her desire to further develop her career resulted in her leaving the practice in August 2006 to attend Miami Dade College and obtain an AS Degree in Dental Hygiene. Throughout the duration of Shirlene’s academic pursuit, she maintained close contact with Impressions Dental and was always welcomed to work with the team during the Summer and Christmas holidays. It was therefore no surprise that after registering as a Dental Hygenist in 2009 that Shirlene would choose to return to the practice on a permanent basis. 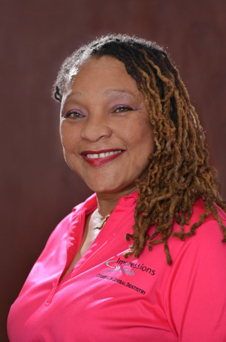 Shirlene attributes the success of Impressions Dental to the commitment of the team to create a motivating and caring environment in which to provide quality service to their valued patients. The team has therefore built lifelong relationships not only with each other but with patients who are seen not only in a professional capacity but are also treated as extended family members. Shirlene is currently licensed to practice in the Commonwealth of The Bahamas, as well as the state of Florida. Raynell Bain received her Associate of Applied Science degree in Dental Hygiene after completing her studies at Daytona State College in 2006. She returned to the Bahamas with a determined intention to contribute to oral health care in her native land. Raynell is currently licensed to practice in both the Bahamas and the State of Florida and is CPR certified. She is a strong advocate for patient education, clinical research and professional leadership. Raynell acts as a valuable resource of knowledge for each patient and regularly conducts educational and clinical research to further this knowledge. She is engaged in the prevention and treatment of oral diseases as well as the systemic effects that may occur as a result of periodontal disease and oral cancers. In her personal time Raynell enjoys cooking, baking and exercising. She attributes meaningful relationships with family, friends and loved ones as the key to keeping herself grounded and creating a fulfilling life. Della-Reese Symmonett, affectionately known as ‘Della’, earned her degree in Dental Hygiene at The Forsythe School for Dental Hygienists, an affiliate of Northeastern University in Boston, Massachusetts. Upon her graduation in 1979 she immediately returned to the Bahamas where she practiced in a private Dental office for 32 years. Throughout Della’s extensive career she has witnessed both the physical and emotional effects of periodontal disease and tooth decay on adults and children. She is therefore very passionate about educating her patients concerning daily maintenance and periodontal disease prevention. Della’s greatest objective is to provide the knowledge and treatments necessary for her patients to ultimately “leave the world with all their teeth!” Della’s fun-loving spirit and sense of humor is the perfect remedy for the nervous, first-time dental patient. Her passion for her work is undeniable and her reputation as a Dental Hygienist is firmly established. Della brings her skills and expertise to Impressions Dental on a part-time basis and is a valuable part of our team. In her personal time Della thrives from exercise, travelling and decorating interior spaces. She embraces life and enjoys creating fun memories with family and friends. Felicia joined the team at Impressions Dental in December 2007. Having always had an interest in the dental field, she confirmed her passion for the field after working as a Dental Assistant for 4 years. In 2011, she decided to take her career to the next level by enrolling in the dental hygiene program at Miami Dade College. She maintained relationships with Dr. Warren and the team and usually returned to work during her school breaks. Felicia graduated in May 2015 with honors and an Associate’s of Science Degree in Dental Hygiene. Eager to bring her services and knowledge to the Bahamas, she returned to Nassau right away and began working at Impressions Dental again. Her goal as a dental hygienist is to create a safe, comfortable environment for patients , to provide gentle, thorough care and to enable patients to make the best dental decisions with the education she provides. Mrs. Greene understands the term excellence and works hard to carry it out in her professional and personal life. That drive for excellence combined with her love for helping people and youth has drawn her to the incredible practice of Impressions Dental. 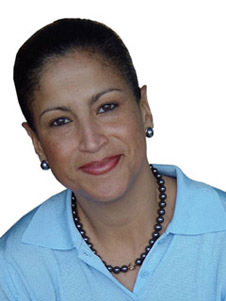 Before joining the Impressions team in 2009 as their Office manager/Financial Coordinator, Mrs. Greene worked in the financial industry for more than 17 years overseeing daily operations and diligently working to obtain the titles of both Branch Manager’s Assistant and Assistant Vice President. Mrs. Greene continues to provide superior customer service while working hard to help patients with their financial and administrative needs. She understands the importance of complete oral health andassists each patient with obtaining the services they need for themselves and their family. When Mrs. Greene isn't at the office, she enjoys spending time with her loving husband of more than twenty years and her wonderful son. She also enjoys volunteering, traveling and trying new foods. 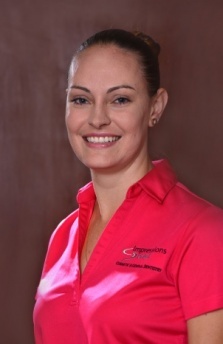 She has enjoyed making Nassau her home and joining the wonderful team at Impressions Dental.